Launching a scathing attack on the Modi government on the note ban anniversary, senior Congress leader P Chidambaram today said millions of people "suffered" due to the move. 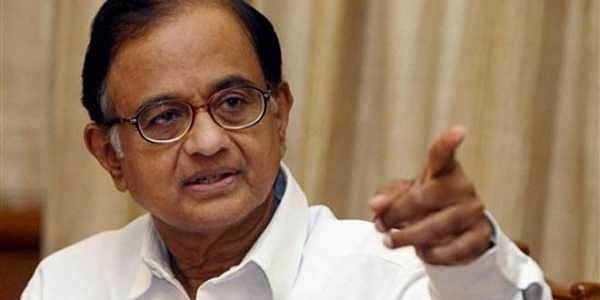 NEW DELHI: Congress leader P Chidambaram launched a scathing attack on the Centre and Finance Minister Arun Jaitley on the anniversary of the note ban decision today, asking whether it was "ethical" to heap misery on millions of people. The former finance minister went on to ask if it was ethical to destroy 15 lakh regular jobs during January-April 2017 and force thousands of micro and small businesses to close down? "Was it ethical to give an easy way for converting black money into white as now discovered by Government?" The former finance minister also asked whether it was ethical to damage vibrant industrial hubs like Surat, Bhiwandi, Moradabad, Agra, Ludhiana and Tiruppur. A year after the demonetisation decision, Chidambaram also launched a frontal attack on the Modi government and said, "On demonetisation Black Day read real-life stories, say a prayer for the millions who suffered." He noted that millions of people had suffered due to demonetisation. Could anyone deny, he asked, that lives and jobs were lost and small businesses closed. "In interest of transparency, government/RBI should release RBI Board's agenda, background note and (former Governor) Dr Raghuram Rajan's note. If government is confident of its decision, why does it fear releasing these documents?" Prime Minister Narendra Modi had announced demonetisation of Rs 1,000 and Rs 500 notes as a measure to fight black money, corruption, fake currency and terror funding on this day last year. The opposition is observing "black day" today. The government, Chidambaram said, claimed that money was eliminated. But "you will find the 'eliminated' black money" when the Gujarat election campaign starts, he added. "Modi's currency gamble damaged Indian economy, says the BBC. Is BBC a supporter of black money and corruption?" he asked.